Can I Play CIDCO Lottery Online? Read Reviews! The City and Industrial Development Corporation (CIDCO) in India is yet another entity that’s working to make affordable housing available. One of the most prominent initiatives in this regard is the CIDCO affordable housing lottery. CIDCO lottery takes place on an annual basis in the Maharashtra region. The state-run entity typically makes over 1,000 flats available at really reasonable and unsurpassed prices. If you live in Maharashtra and you’re interested in applying for affordable housing, here’s everything you need to know to make it happen. On February 14, CIDCO announced the results for its 2019 lottery drawings. In October of 2018, CIDCO announced over 14,800 homes for sale at affordable prices. As per official reports, there were more than 51,000 applicants. CIDCO announces several groups of homes as a part of the lottery. The low-income options are the ones that generate the highest interest because they make it possible for people who have limited financial resources to get their apartment. The properties for low-income individuals are located in Navi Mumbai, the Taloja Sector, Kharghar, Kalamboli, Ghansoli, and Dronagiri. The units to be distributed among low-income individuals are available at rates of Rs 17-18 lakh. There’s also a deposit requirement of Rs 5,000. Both of these requirements are way below what would be required to buy a flat on the free, commercial market. Is CIDCO Lottery a Scam and Can You Play It Online? While it may seem too good to be true, CIDCO lottery is not a scam. The City and Industrial Development Corporation was set up in 1970. It’s a city planning agency in India and the richest government authority within the country. The Government of Maharashtra controls CIDCO, and the Indian Companies Act of 1956 regulates its activities. Currently, CIDCO works as a new town development authority and a special planning authority. This means it’s responsible for the development of new plans and entire new regions through construction, infrastructure development and the provision of municipal services. CIDCO Lottery falls within the line of these activities. Usually, over 14,000 apartments are offered to members of different economic classes each year. The opportunity is entirely legitimate. There are eligibility requirements and an application process announced way in advance. Only those who meet all of the CIDCO requirements can apply for affordable housing in one of the income groups. Over the years, CIDCO has worked to modernize the lottery process. Is it possible to apply for the CIDCO lottery online? The short answer is yes. Several new tech developments were launched in 2018, and we’ll take a more detailed look at these opportunities later on in the guide. To apply for CIDCO Lottery, you have to meet the official requirements. The household’s income level will be determining whether individuals can apply under one of the several categories. People who earn a monthly income of up to 25,000 rupees can apply under the economically weaker section (EWS) of the lottery. Households with an average monthly income in the 25,001 to 50,000 rupee range will qualify for application in the low-income category. The process starts with registration through the official CIDCO Lottery portal. Once you register, you’ll need to do a CIDCO lottery login to upload all of the important documents. The website features a help section that has a complete list of all the application forms and the personal information you have to provide. CIDCO lottery results are announced on an annual basis. They’re available both through the official lottery website and through local media. As you’ve probably guessed already, the drawing is random among all of the qualifying candidates. The odds of winning an affordable flat under the CIDCO scheme are entirely dependent on the number of applicants for the respective year. In 2018, CIDCO launched 14,838 apartments and houses under the scheme. Of these, 5,262 were for the economically weaker drawing, and the remaining apartments belonged to the low-income group. The housing projects were available at 11 locations within Navi Mumbai. The scheme usually goes live in August of the previous year, and the drawing is conducted at the beginning of the next. Hence, the availability of apartments in 2019 will be announced in August, and the drawing for these places will occur in February of 2020. As it is a town development agency, CIDCO announces projects that are in the process of being constructed. Owners are expected to get in possession of the particular apartment by the construction completion schedule. 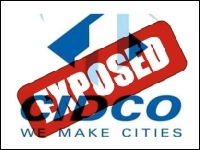 There is some information that the CIDCO scheme is growing bigger each year. As per some expert estimates, the number of apartments launched in 2019 will be higher than ever before. The initial expectation is for 25,000 new apartments to be announced in the summer as a part of the scheme. Since the projects are currently being developed, however, there are a few essential setbacks to keep in mind. For a start, they are located in remote areas. Also, infrastructure is still in the process of being established, and it may be missing at locations. Because of this fact, CISCO has come under criticism several times. City planning experts believe that infrastructure should be put in place first, after which residential construction is to commence. You can use your CIDCO lottery login to check whether you’ve won anything as a part of the annual drawing. There will also be a published list of rejected candidates on the official CIDCO lottery website. To check if your annual application has been accepted, go to the official website and click the accepted applications tab. The site is also the first place to turn to check whether you’ve won anything. If you need more information about the results or your winning, you can call CIDCO at 18-00-222-756. The helpline is available on workdays, from 8 a.m. to 8 p.m.
Can You Apply for CIDCO Lottery Online? Luckily, CIDCO has worked on making the lottery application process simple and effective. Currently, applications take place online and through the CIDCO official website. This is where you’ll find the CIDCO Lottery form after you create your account. As of 2018, CIDCO has also launched a mobile app for added convenience. The launch of the app was announced in August, shortly after CIDCO started accepting applications for the annual lottery. CIDCO officials announced that some aspects of the app are still in the process of being tested. Once they’re all appropriately developed, the entire registration will take place online. This will include the payment of the required fees for application processing. Would you mind rating CIDCO Lottery? Low-income individuals in India can benefit tremendously from the opportunities provided by CIDCO as a part of the authority’s annual lottery. CIDCO Lottery is a legitimate opportunity that comes with well-defined rules and qualification criteria. Hence, those who cannot afford a property on their own should consider applying. If luck is on their side, they could end up acquiring a brand new flat for a fraction of the actual market price.